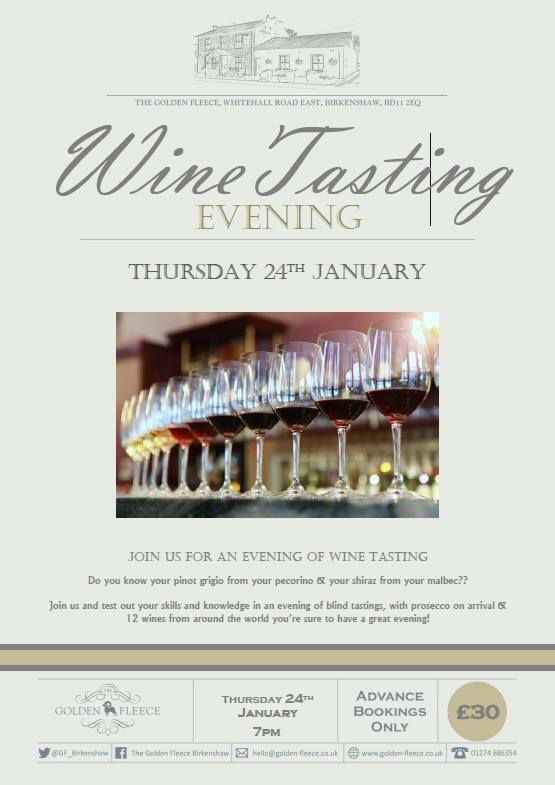 Join us for an evening of blind wine tasting. Do you know your pinot grigio from your pecorino, your shiraz from your malbec?? 12 wines from around the world you’re sure to have a great evening! A wine night with a difference! Only £30 per person, starting at 7pm.